Tres Hermanas is a program of Lutheran Family Services Rocky Mountains Refugee and Asylee program in Albuquerque. Tres Hermanas works with the Albuquerque community of refugee farmers to ease integration and increase self-sufficiency by growing produce, accessing farmers markets, and improving English skills. We are passionate about connecting people to place through the act of growing roots and producing food. mentors, teachers and fellow gardeners. This three-tier program is designated to empower individuals and increase self-sufficiency through the act of farming. The first level of the program connects refugees with gardens within their community; easily accessible by feet, bike, or public transportation. 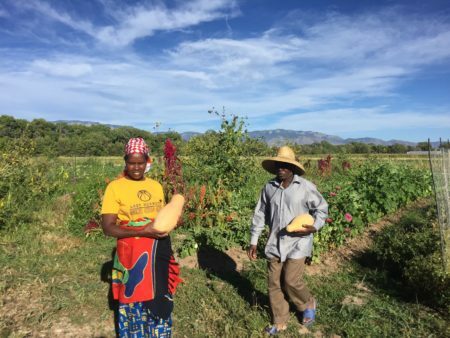 This entry level garden program offers participant tools, seeds, water and some technical assistance to grow culturally appropriate produce close to home. 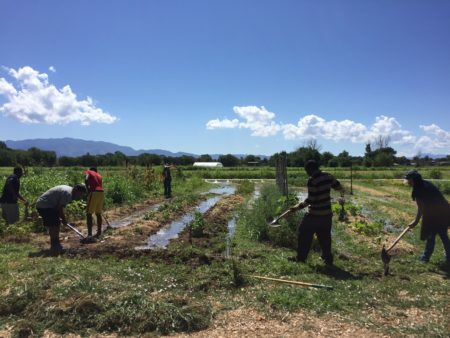 The second tier offers refugees a large piece of land at Rio Grande Community Farm, where they have access to advanced farm infrastructure such as a high tunnel, greenhouse, and wash station. Tools, seed, regular irrigation, and access to local growers’ markets are other benefits of the program. 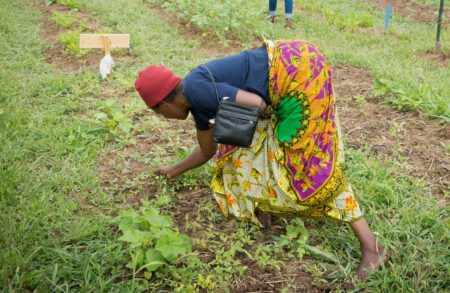 In the third tier, graduates of tier 2 who are interested in pursuing an agribusiness, are enrolled in Grow the Growers training program where they learn business planning strategies, market farming tactics, and learn from local mentors and farmers. Clients are connected with Land Link NM to find larger pieces of land to grow their farm business. We love volunteers! Interested in helping at the farm? Assisting with the Tres Hermanas market booth? Helping with English skills? Donating time and Resources? Contact us!